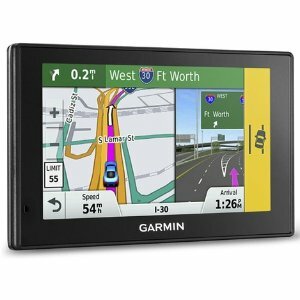 Buydig.com offers the Garmin 50LMT Drive Assist GPS Built-In Dash Cam for $109 via coupon code CLARA . Features: Offering the protection of “an eyewitness that never blinks,” Garmin DriveAssist comes with a compact, built-in dash cam that continuously records your drive. If a collision occurs, Incident Detection G-sensor will automatically save files on impact. GPS records exactly where and when events occurred. A replaceable microSD™ card is included. Easily play back video footage right on the device, along with a map view of where you were, at the time of the incident. If you like, you can watch footage later on your computer using our Dash Cam Player.